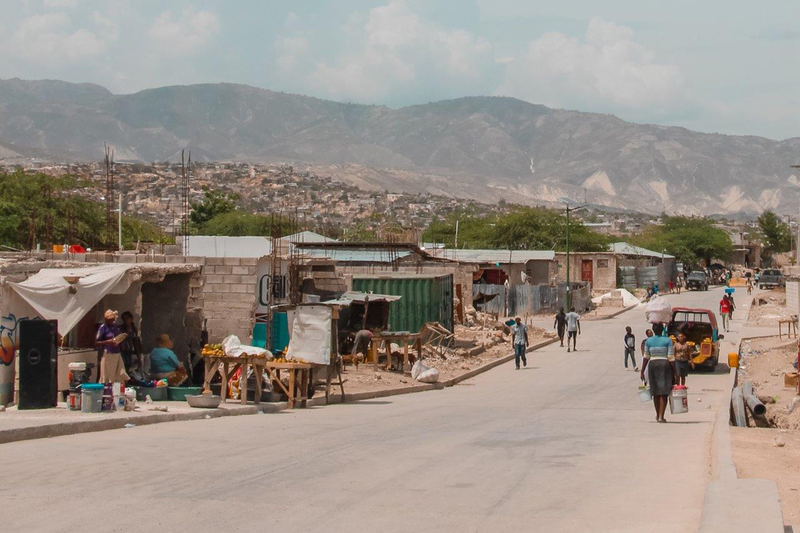 Port-au-Prince – IOM, the UN Migration Agency in Haiti has completed the first road to Canaan, a fringe, partial internally displaced persons community that formed after the 2010 earthquake. The road will benefit approximately 200,000 Haitians currently living in Canaan, most of them with no access to electricity, toilets, essential amenities or state services. This new infrastructure will facilitate access to jobs, schools, and hospitals located outside the community.